This much anticipated volume looks at the historical evolution of towns and cities in medieval India from the early thirteenth to the late eighteenth century. The selection is based on the availability of documents. These include the narratives of European travellers in English, French, Italian, Dutch, and German with the exception of Ibn Battuta in mid-fourteenth century and also Middle Bengali literature in case of towns in Bengal. While the coastal towns and cities have been looked at, the interior ones are also described on the basis of the writings of later historians and archaeologists. Care has been taken to explain the rise, growth and the decline of some towns and cities in which the changing courses of rivers had played a crucial role. Attempts have been made to search other factors responsible for such eventualities. The delineation of physical features within the city has been given due emphasis including the different quarters of the city and the manners and customs of the local population with reference to craft production and commercial links. The morphological differences between the cities of eastern and those of the western or northern India have also been described. This is clear from the observations of port towns described here. 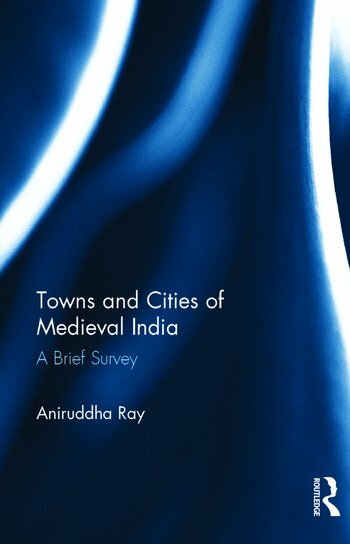 All these would show that India was one of the most urbanized area in the medieval period before advent of the British. Aniruddha Ray studied at the Presidency College, Calcutta, India. In 1964 he left to conduct research at the University of Paris, Sorbonne and returned to Calcutta in 1967 with a Ph.D. degree. He joined the Department of Islamic History & Culture, Calcutta University in 1968 and retired in November 2001.